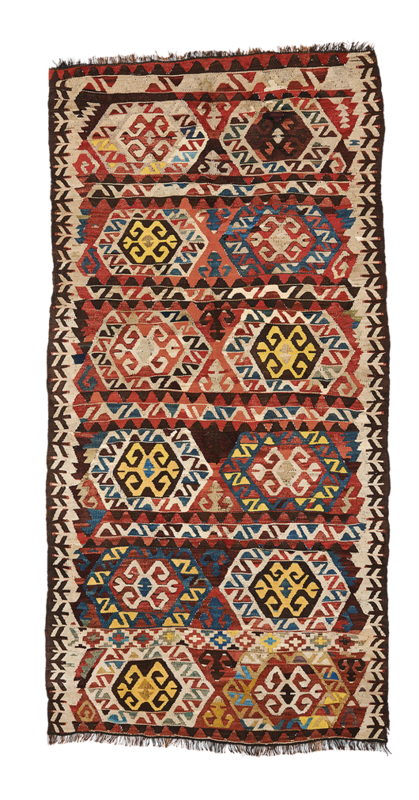 This kilim is a wonderful old piece from Anatolia, probably from the Mut or Cappadocian region. The weaver has indeed created an incredible work of art. The balance that is achieved in the subtle organization of color is truly remarkable. The piece is very ambitious and will bring a sense of bygone days to any room. Some normal small tears throughout due to its age. Wear is consistent with age and use, and some old restorations are visible.